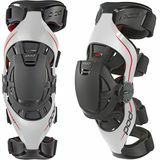 The dood - Colorado Great stability "I grew up racing and never wore knee braces...only knee guards. I was recently afforded the opportunity to test out some K4’s that a buddy had. The straps wore the c*ap out of my skin but the stability was awesome! I loved them so much I forked out the doe for my own set. * wear knee sleeves!" Jr26 - Athens, Ga Needs improvement "You probably won't know you need it until your gearing up. I have to carry spares so that I'm prepared to replace at the track. In my opinion, these should last longer than they do. I'm a vet racer and don't put that much time on them. 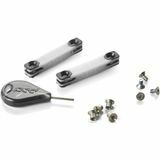 On the plus side, they come with an allen wrench so you're not searching for a tool to get the job done."